The holiday shopping season is in full swing. Your children may have already told Santa (in person or in writing) what they want for Christmas. My guess is that science, technology, engineering, and mathematics related toys didn’t make the list — or, at least, your child didn’t think the toys they want are STEM-related. “A lot of the toys don’t even have the word engineering anywhere on them,” says Elizabeth Gajdzik, Assistant Director of Purdue’s INSPIRE Research Institute for Pre-College Engineering, “so assisting [your children] and telling them, ‘Hey this one does promote engineering thinking,’ as well as providing research that allows them to take toys they might already have in their home, and make them even better and to introduce engineering STEM concepts.” If you have trouble trying to imagine how an ordinary toy relates to technology, perhaps you need to get one explicitly designed to stimulate your child’s inner technologist. As Cheryl V. Jackson (@cherylvjackson) writes, “Having a mouse in the house can be a good thing.” Jackson, of course, is not talking about a rodent. She could have been talking about a computer mouse (and having a computer in the house is certainly a good thing), but, in this case she is talking about a toy called the Code & Go Robot Mouse Activity Set from Learning Resources. Jackson explains, “The $60 toy encourages programming, allowing players to use directional tiles to direct a robot mouse to a cheese wedge-shaped game piece.” The set is not cheap and that is a drawback to many technology-related toys. Below is a representational list of technology-related toys available this year. Some of them are 2017 Toy of the Year finalists. Perplexus Q-bot ($11/PlayMonster). Make a funky robot dance to solve the 33 3D maze challenges! Micro Q-Bot is a mini maze robot in a cube. Vex Robotics Zip Flyer ($13/Hexbug). Kids build this STEM-based construction kit, then pull the zip-cord stick to release the propellers more than 30 feet into the air. Can be built for both handheld and tabletop action. Two builds, two ways to launch. Project Mc2 We Heart Chemistry Kit ($26/Alex Brands). Conduct 10 fun chemistry experiments with this kit and household products. Make ordinary powders fizz and foam, and create a color-changing mixture, a rolling wave, a color-changing eruption, and more. Mix your own to see what you can create. Barbie STEM Kit ($30/Thames & Kosmos). This project kit includes a Barbie or Nikki doll, plastic building pieces, and science experiment materials to create seven models. Each model is built to “Barbie-scale” and is compatible with the original Barbie Dreamhouse. Might Makers Director’s Cut Building Set ($35/K’NEX). Help Lily make her own movie! Build the stage where the video takes place. Learn various filming techniques, and once filming has ended, rebuild the stage into a theater to watch the final cut. Roominate Cotton Candy Carnival ($45/Playmonster). This wired building set inspires open-ended, hands-on play, while showing kids that creativity and engineering are fun. Use circuits, motors, and colorful building pieces to create unique and original structures, then rebuild something new again and again. Think & Learn Code-a-Pillar ($50/Fisher-Price). Preschoolers learn sequencing and programming by arranging easy-to-connect segments in endless combinations to send Code-a-pillar on his path — forward, left, right, or pause. Configure the segments so Code-a-pillar can reach the targets kids set up throughout the room. 3Doodler Start Essential Pen Set ($50/WobbleWorks). Get creative kids thinking and designing in 3-D. This easy-to-use 3-D printing pen extrudes eco-friendly plastic that cools and hardens rapidly, allowing kids to literally draw in the air. Bloxels ($50/Mattel). This app-based video game lets kids be the game designers, programmers, storytellers, players, and more. Kids can create and animate play spaces, characters, and objects while learning coding and programming. Geckobot ($50/Thames & Kosmos). A motorized air suction system enables Geckobot to walk vertically up and down smooth surfaces. The battery-powered motor drives an innovative gear system that makes the legs move like a real gecko. Code & Go Robot Mouse Activity Set ($60/Learning Resources). The set encourages programming, allowing players to use directional tiles to direct a robot mouse to a cheese wedge-shaped game piece. Hatchimals ($60/Spin Master). Hatchimals, innovative interactive creatures, can be found inside speckled eggs. They communicate and respond to you in egg through taps, pecks, lights and sounds. Your touch encourages them to peck – they can’t hatch without YOU! Out of egg, raise your Hatchimal from baby, to toddler, to kid. Teach them to walk, talk, play games and more. The Sky Shock ($65/Mattel). The Sky Shock, a remote control vehicle, weaves on– and off–ground, up to 200 feet, for the ultimate speed competition. Switch between ground and air modes with the push of a button, to become a land speedster and an aerial stunt plane. Xtreme Cycle Moto-Cam ($80/WickedCool Toys). The Xtreme Cycle Moto-Cam features a patented gyroscope stabilization system called the Xtreme Cycle’s never-fall technology. A 640×480 VGA resolution built-in helmet camera can store up to 60 minutes of footage. The Sky Viper Streaming Drone ($100/SkyRocket Toys). The Sky Viper Streaming Drone, a full-sized performance drone, streams and records in HD. The unit comes with first person view (FPV) goggles to let users view the footage from the camera in a fully immersive experience. Auto Flight make flying easy. No FAA registration required. Walking Robot Set ($110/Magformers). The Magformers 45 piece Walking Robot Set allows a child to build any of eight walking characters using the STEAM engine block and walking accessories. Let your imagination run wild as you discover the strength of Magformers and see what you can create! Mebo ($150/SkyRocket Toys). This customizable robot is full of personality, and features a built-in HD camera, an articulated arm and gripping claw, two-way audio, and a microphone. Kids can control Mebo through an app, and access him remotely by connecting to his hotspot. Air Hogs Helix Sentinel Drone ($200/Spin Master). The drone is a first-person view (FPV) drone that combines advanced HD live streaming video technology and accessibility features. This affordable, easy-to-operate drone flies right out of the box – no calibration needed. Height lock stabilization & obstacle avoidance sensors create a smooth indoor/outdoor piloting experience. Canine Home Intelligent Pet ($200/WowWee USA). The Canine Home Intelligent Pet (CHiP) is the ultimate AI Robotic Dog. Based on the latest in Mechatronics, the latest in a combination of wireless technology, telecommunications, engineering, along with a suite of advanced sensors, CHiP has a 360-degree system of play that is physical, digital and tactile, along with an intuitive, evolving app. Star Wars Force Band ($200/Sphero). Kids can use the Star Wars Force Band to control BB-8 with just a wave of their hand. Use the band by itself to complete Combat Training for Blasters, Lightsabers, and the Force itself, or collect digital holocrons in your environment through Force Awareness. The Force Band is also compatible with the original BB-8 App-Enabled Droid by Sphero and Sphero robots powered by Bluetooth SMART. Cozmo ($460/Spin MasterAnki). Cozmo is a gifted little robot with a mind of his own and a few tricks up his sleeve. He’s a real-life robot like you’ve only seen in movies, with a one-of-a-kind personality that evolves the more you hang out. He lives in the sweet spot where supercomputer meets loyal sidekick. Tinkerbots ($470/Tinkerbots). This expandable robot building kit includes exchangeable motion and sensor modules. It works wirelessly and can be controlled via smartphone and tablet. Using Tinkerbots, kids teach themselves the basic principles of mechanics, programming, and sensor technology. In year’s past, the only options for parents wanting their children to discover the joys of STEM-related activities were building sets (like the Erector Set, Lincoln Logs, and Legos); chemistry sets; microscope sets, and so forth. Today there is much greater variety. Jackson reports, “STEM and arts toy sales saw a 7 percent growth in 2015 to $28.6 billion, according to consumer research firm Euromonitor. The toy industry is looking to fill a gap where schools might not be teaching STEM.” Hailey Lynne McKeefry (@HaileyMcK) concludes, “Even as dolls, building blocks, and stuffed toys remain a favorite of kids during the holidays, the biggest hits on the horizon are based on electronics.” It’s a win-win whenever you can combine STEM and fun! 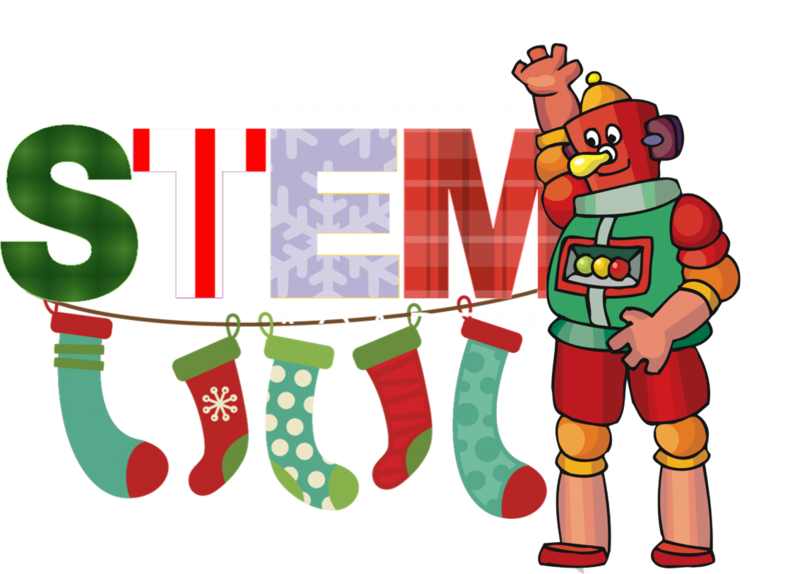 Samantha Thieke, “Gift guide inspires kid’s STEM skills,” WLFI, 26 November 2015. Cheryl V. Jackson, “Toymakers want to bring STEM to playtime, filling gaps from schools,” Chicago Tribune, 9 December 2016. Hailey Lynne McKeefry, “20 Best Tech-Based Toys Promise Big Holiday Hits,” EBN, 5 December 2016.